The five piece Milan, Italian - based classic prog band The Watch is back with new music on their latest album release Tracks from the Alps, to coincide with their upcoming tour featuring Genesis' famous live Second's Out set. Tracks from the Alps is the band's fifth studio album, full of six original tracks, and a great cover of the Genesis Archive 1967-75 rarity, "Going Out to Get You". One of the best things about this band is that they enjoy bringing classic Genesis tracks from the archives out into the full light of day with amazing improvements. They did it on their last album Timeless with their wonderful renewal of "In the Wilderness" and "Let Us Now Make Love". 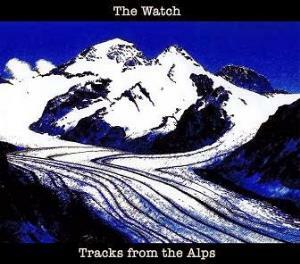 On Tracks from the Alps, The Watch performs "Going Out to Get You". The powerful organ De Vittorio opens with sounds warmer than the piano Genesis used on its demo recording on the Genesis Archive 1967-75 box set. The mellotron and organ are simply mystifying as is the thunder Fabbri brings on drums. 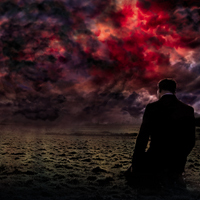 Rossetti doesn't have as much venom in his voice as Peter Gabriel, however those keyboards and the menacing guitar work from both Gabriel and Rossetti's guitars more than create the mood to match the power of this often overlooked track.